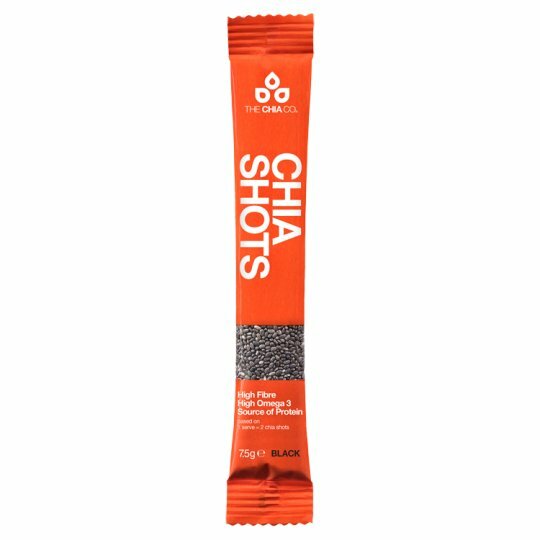 Our chia seeds are bursting with fibre, omega 3 and plant protein. Also packed with vitamins, minerals and antioxidants, chia has a soft outer shell that does not need to be ground to absorb its rich nutrition. Chia is gluten free and vegan. Our black and white chia seeds are nutritionally identical, the only difference being the seed coat colour. At The Chia Co we are passionate about positive plant based nutrition. We let our chia ripen naturally in the sun and use gravity-fed irrigation to achieve the highest level of nutritional quality. Store in a cool, dry place and reseal after opening. Simply add 1 tablespoon (max 15g) to your muesli, porridge, salads and smoothies or add to your baking.